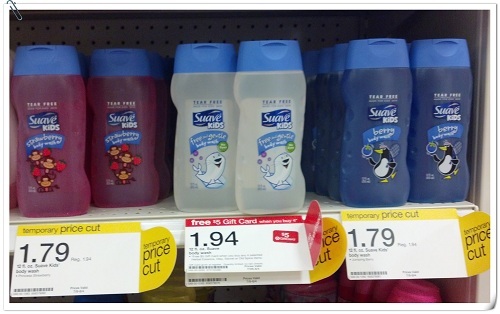 There's a great deal on Suave kids body wash at Target this week. Buy 4 select Suave products and get a $5 Target gift card. This deal may vary by store. This offer has ended.